The early bird catches the cheap pow. 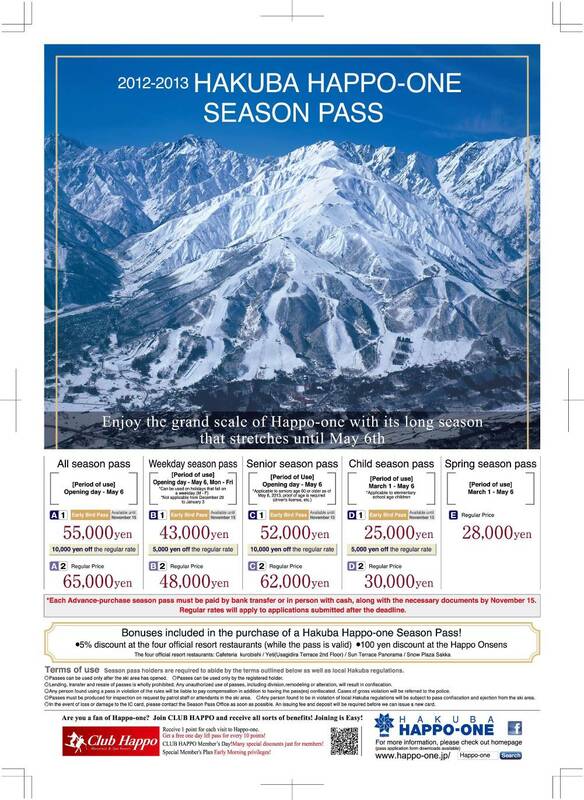 This entry was posted in Hakuba, ski and snowboard and tagged Happo One, lift passes in Hakuba, lift ticket prices, season pass, season pass prices for Hakuba. Bookmark the permalink.